Our article, Gi Weaves 101, has become one of the most viewed blog post and continues to be a great resource for anyone in the market for a new women’s BJJ gi. 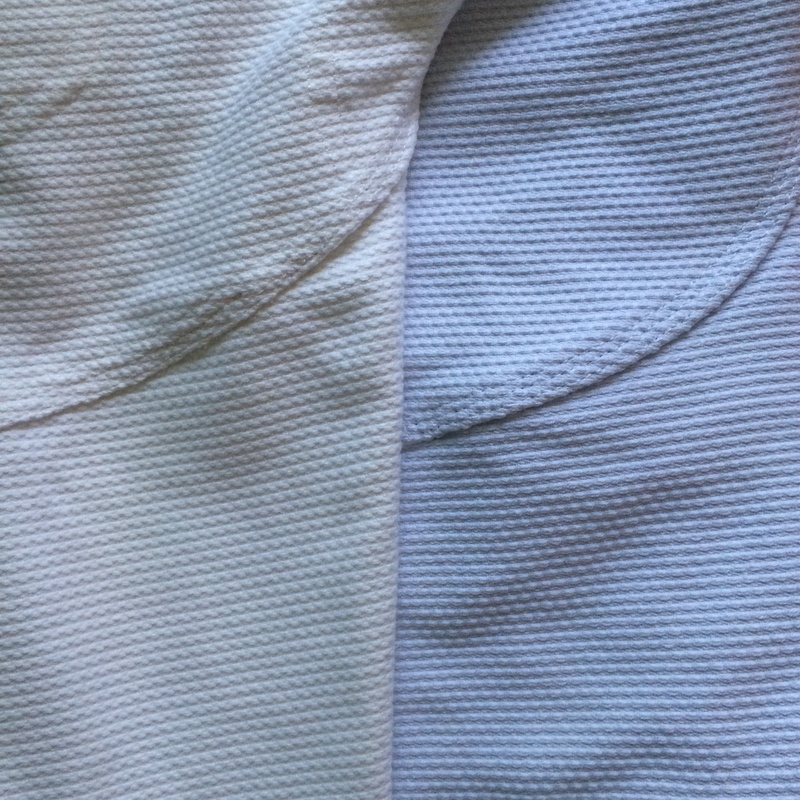 Since we get a lot of questions about single weave and double weave gis, we decided to do a write-up about new fabrics we are using; what single weave and double weave fabrics are, and how to tell the difference between those two. 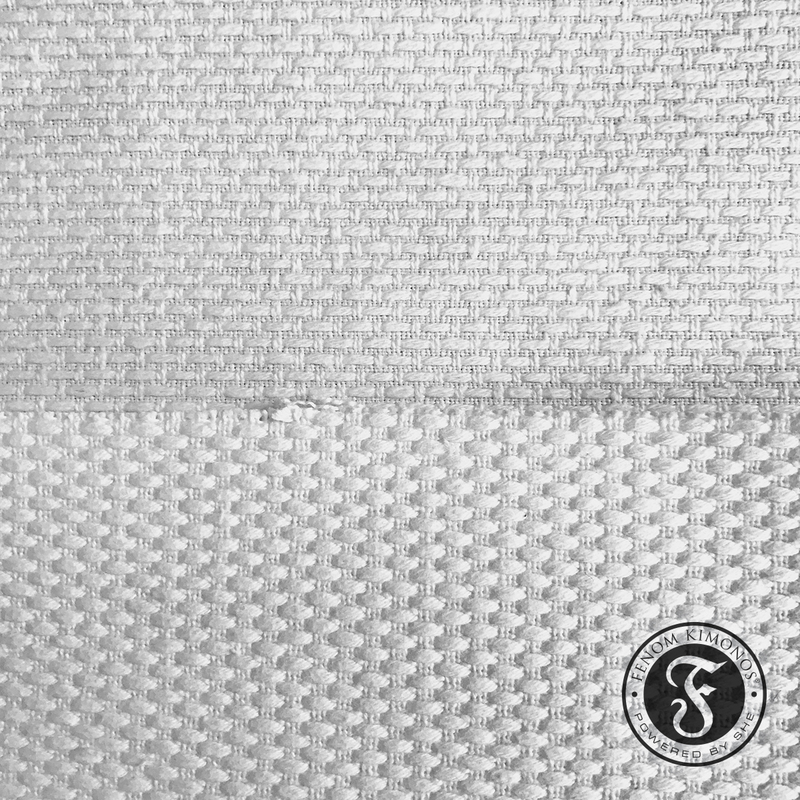 SASHIKO WEAVE or RICE GRAIN WEAVE is the most commonly misnamed fabric by jiu-jitsu bloggers and gi reviewers. A great deal of sources call it a single weave. Sashiko weave can be single or double weave. As a matter of fact, any fabric can be single or double weave, depending on if there is only one layer of fabric or if there are two layers of fabric that are interconnected. In a single weave fabric a set of weft (horizontal yarn) and a set of warp (vertical yarn) are interlaced together in different patterns. The pattern of the warp and weft is called the weave of the fabric. In a double weave, a fabric should contain two detectable weave structures, two layers, which are connected to one another in some way. Below are some photos to illustrate the difference between single and double weave. Single weave on top, double weave on bottom. Single weave vs double weave thickness. Single weave fabric on top, double weave on the bottom. Single weave fabric has one layer, double weave fabric can be pulled apart to show two layers. 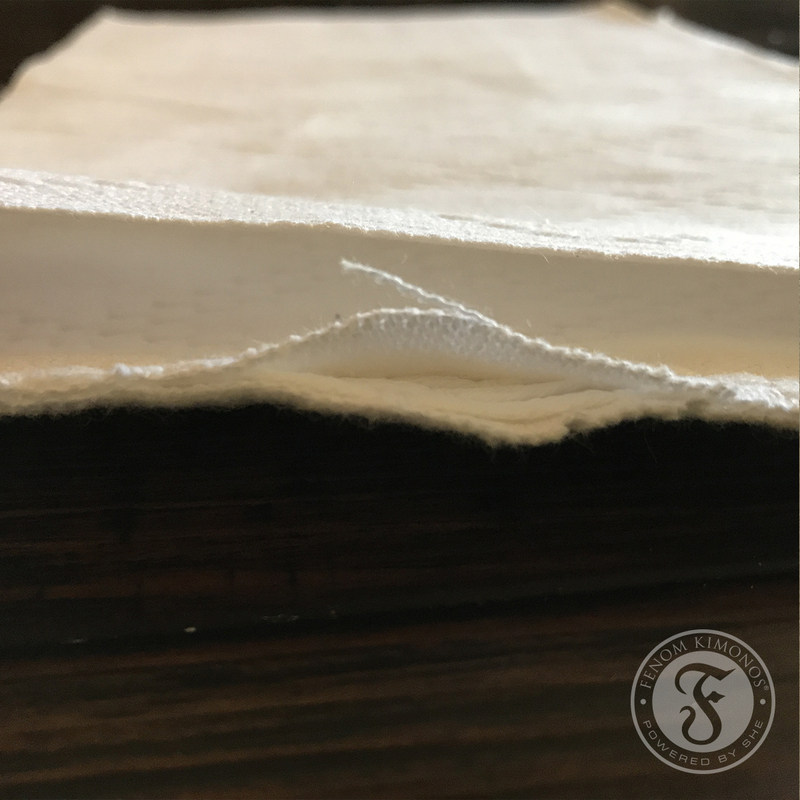 Sashiko weave has been used for judo gis for decades, it’s readily available and much more reasonably priced than pearl weave. It can be light weight 350-550 gsm single weave to 750-950 gsm double weave, the options are endless. A lot of jiu-jitsu gis in sashiko weave are in light weight category, very affordable and considered a good starter gi. However, cheaper gis shrink quite a bit, so sizing can be tricky. More expensive double weave gis have controlled shrinkage due to extensive pre-treatment but those are not common in BJJ scene. Double weave gi sleeves are very difficult to grab, they are thick and rigid. The whole gi set weighs twice as much as a single weave gi. Most BJJ hobbyists don’t ever experience a double weave gi unless they cross train at a judo dojo and get their grips on an International Judo Federation approved competition gi. 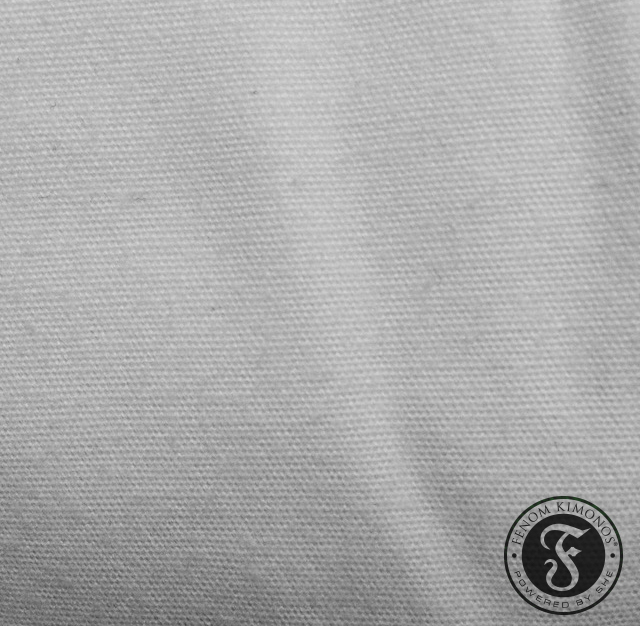 So, if you are buying a jiu-jitsu gi and the description is 350-550 gsm weave (pearl or any others), you are getting a single weave gi. CHESS WEAVE combines plain weave with Sashiko weave to form a chess board look. Plain weave is the most common and basic weave where weft yarn passes over and under warp yarn alternately. Chess weave fabric feels softer than pearl weave but not as soft as crystal weave. It feels light-weight and does not stretch out excessively. It is a great addition to any gi collection if you are getting bored with pearl weave. Colored gis in chess weave will look more textured and dramatic after a while as the raised squares fade at a different rate than the flat squares. This is not better than any other fabric; it simply has a captivating look. 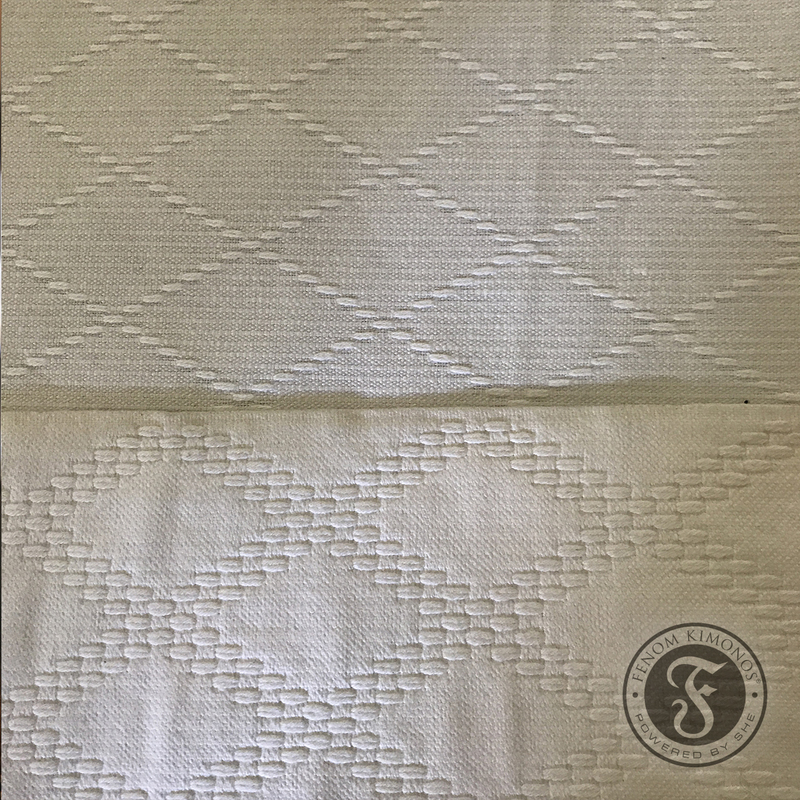 DIAMOND WEAVE or diamond pattern Sashiko weave fabric is widely used in judo and is not new in the market. It is mostly used for the skirt part of the judo gi but can be made into a BJJ gi. 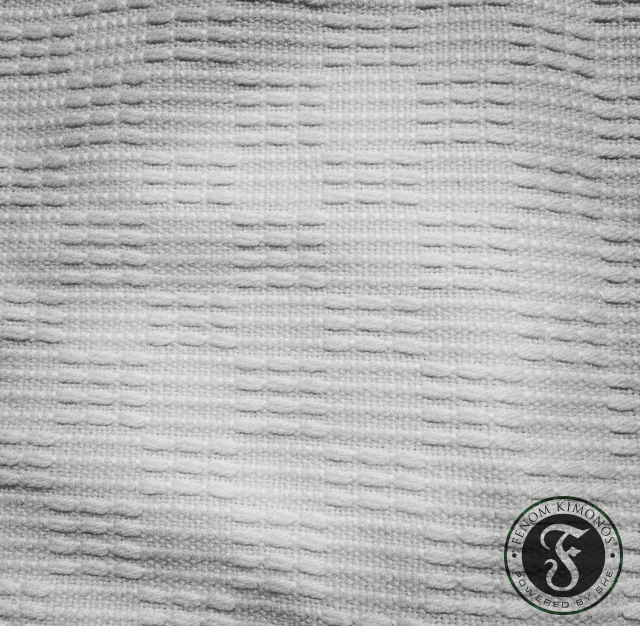 The lightweight but sturdy plain weave or twill weave is combined with diamond pattern in Sashiko weave. Sashiko yarn direction is horizontal which makes the fabric stronger to withstand the stretching and pulling. The fabric feels light and airy, does not shrink excessively and is comfortable on skin. It has a unique textured look that should become popular in jiu-jitsu because of its affordability and availability. 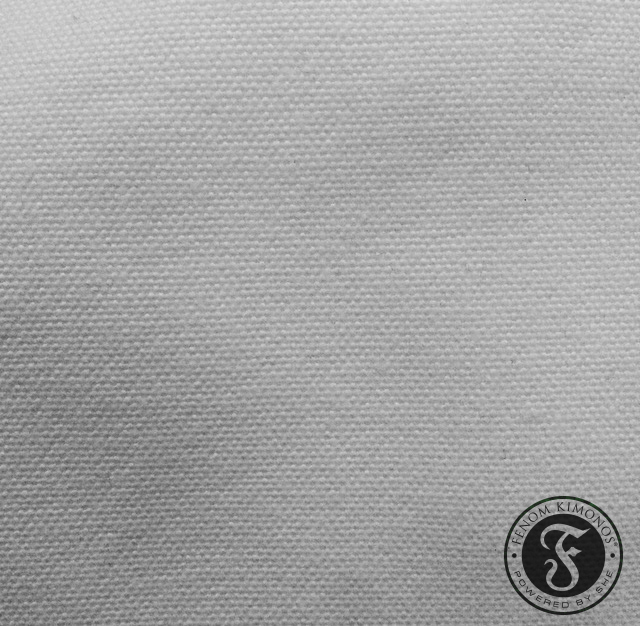 Canvas or Cotton Duck is a popular fabric choise for workwear, tote bags, beach umbrellas, awnings and is the base for the best oil paintings. It is a plain woven fabric that is sturdy, dense and extremely durable. Cotton duck or duck is the correct name for the fabric but people outside of textile industry call it canvas. Canvas, especially heavy-duty canvas, is not a popular choice for gi pants. The fabric is very stiff and full length, double layer reinforcement makes the pants twice as heavy as rip stop pants. The pants will last for years if you have the patience to wear them and put up with the stiff, slightly uncomfortable fabric. Canvas will soften up a little over time but it will never be as comfortable as cotton drill. Customers have very strong feelings about these pants; they are serious nail rippers, you cannot get a grip without hurting your hands. Brushed canvas looks just like canvas but feels like cotton drill. The fabric has been treated and brushed on both sides so the stiffness you experience with canvas has been eliminated. The best way to describe the feel of this fabric is to think of a flannel shirt, it’s that comfy. Of all the fabric choices for pants, this has to be our new favorite. Brushed canvas is comfortable but does not stretch out as much as cotton drill, very soft yet sturdy and there is no unexpected shrinkage. So far it has been very well received by customers and we hope to add more brushed canvas pants in different colors to our product line. No matter what fabric you prefer, it is important to take good care of your gi . 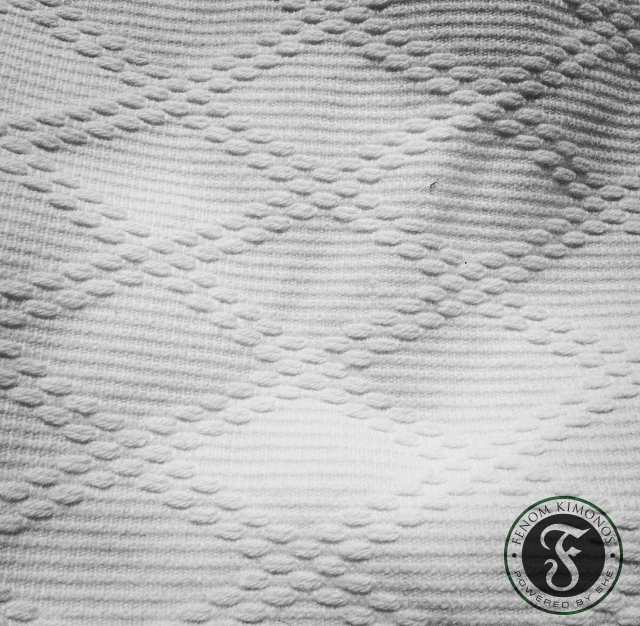 Read more about gi care and stain removal here. Laundry – the magic process where socks disappear, white undies turn pink, and gis shrink down a size or two. Spending a lot of money on a new gi, and inadvertently ruining it in the wash can be very frustrating. Proper care for your gi is important, and it is not all that complicated. Here are the most common gi care questions we receive from our customers. 1. How do I wash my gi? Try to wash your gi as soon as you get home from training, if possible. If your gi has visible stains, pretreat them first. Gis should be washed in cold water to avoid excessive shrinkage. Colored gis should be washed inside out to prevent the color fading unevenly due to the gi rubbing against the machine. Don’t pack too many gis in one load, and always use recommended amount of detergent. Too much of it won’t rinse out, and too little won’t do the job. Always check the manufacturer’s label for washing instructions, and if you are not sure what each label means, check out this handy chart. In the weaving process cotton fibers are stretched, and twisted under high tension. In hot water, and dryer the molecules want to return to their original, relaxed state. That is why cotton shrinks, and heat should be avoided. Generally, looser weaves tend to shrink more, tighter weaves shrink less. Most gis on the market are 95-96% preshrunk, so some shrinkage, even in cold water should is expected. In order to maintain the length and shape of the gi, stretch out the sleeves, lapels, and pants after every wash when the gi is wet. Do not wash the gi in hot water or dry in high heat; it will shrink! 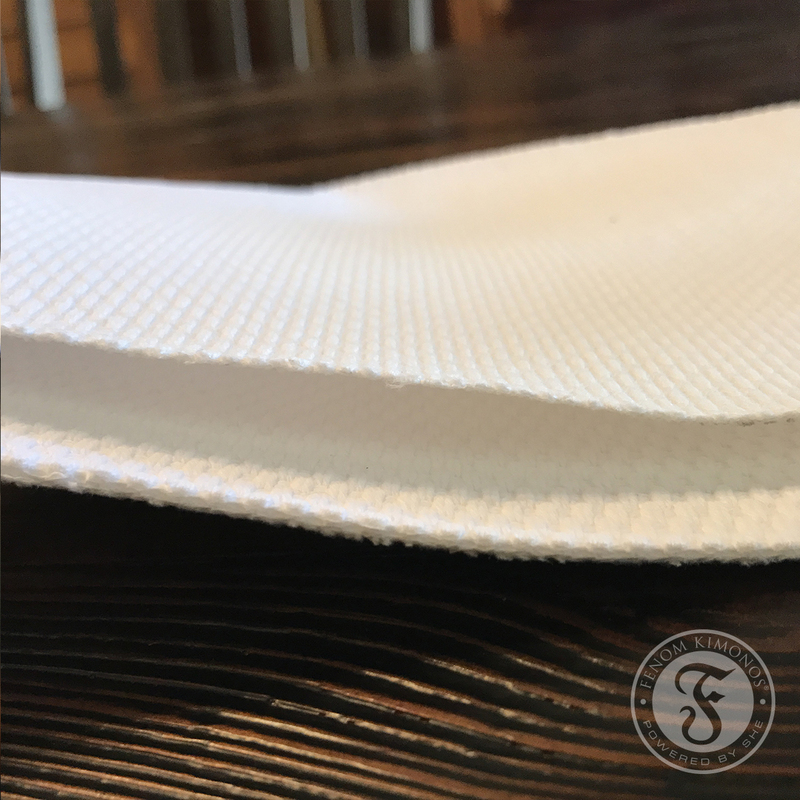 If you want to shrink your gi intentionally, please wash in hot water, and dry in the dryer until desired length, and width is achieved. 2. How often should I wash my gi? You should wash your gi after every training session. Try to wash your gi as soon as you get home from training. 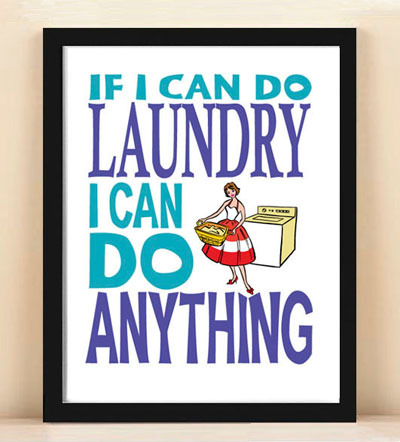 We understand that this is not always possible, and some people do laundry once a week. The sooner you wash it, the better. If your gis are extremely soiled, and stains are set in, you may have to do some serious spot cleaning, and soaking before washing. Do not leave your gi in your gear bag to marinate for days. It will develop a strong, pungent smell that will be harder, and harder to get rid of. 3. I barely got sweaty in training; I was only drilling technique. Do I still need to wash the gi? Yes, please. Even though you didn’t sweat, your training partner may have sweated on you. It’s a good habit to have to wash your gi after every class. If you had no contact with another person, and only observed the class from the bench then you can skip the wash.
4. I’m really busy. Can I wash my white gi and colored gi together? White and colored gis should not be washed together no matter how busy you are otherwise your bright white gi ends up looking sadly dingy. Colored gis can be washed together. Think of gis just like laundry. Separate them the same way you would your other clothing items. 5. My friend said that I needed a special BJJ gi detergent. Is this true? No, you don’t need a special detergent. 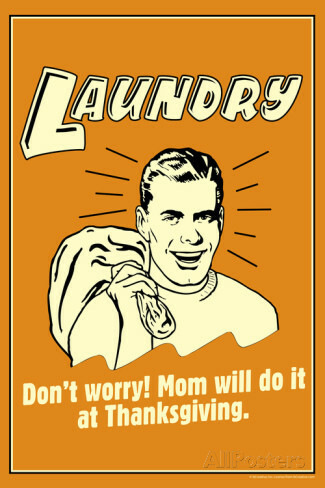 Any detergent that you have at home is fine. However, if you want to support a company that makes a special BJJ gi detergent, please do. 6. I haven’t washed my gis as often as I should have, and they are smelling funky. How do I get rid of the smell? When washing a foul-smelling gi, try adding 1/2-1 cup of vinegar to the water, soak for 15 minutes, then wash with detergent. If needed, add more vinegar during rinse cycle. Washing soda, lemon, and baking soda are also good options for tackling nasty smells. Do not put smelly gis in the dryer, the heat will make it almost impossible to get rid of the odor later on. Turn the gi inside out, and hang it outside to dry. And don’t forget to clean your gym bag regularly. What’s the point of cleaning your gis when you carry them around in a rotten bag? 7. My training partner bled on my white gi. How do I remove the stains? Try to remove as much of the blood as possible with cold water immediately during or after class. Do not let the stain set it; dried blood stains are harder to remove than fresh ones. At home wet the spot again, and rub it with some dish soap or laundry detergent. Let the cleaner work on the stain for about 15-30 minutes. The stain should be gone. 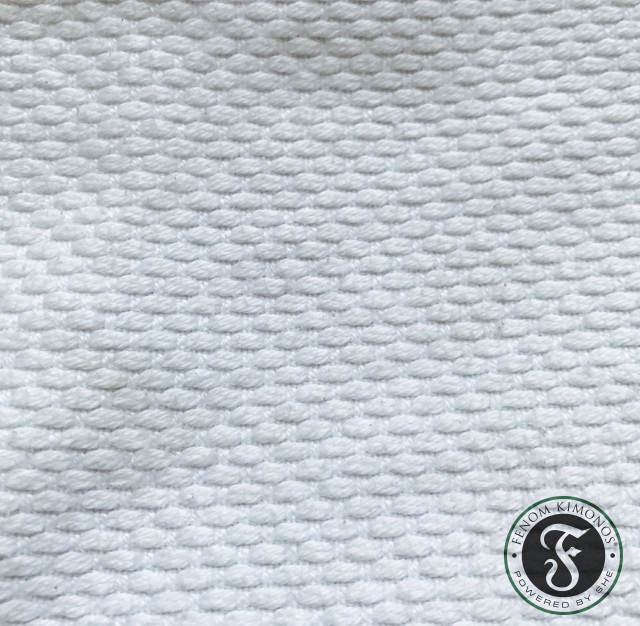 If the stain remains, put a little bit of hydrogen peroxide or diluted ammonia (one tablespoon ammonia per one cup of water) directly on the stain; let it set for a few more minutes, and then wash the gi. For heavily set in stains you may have to repeat the steps two to three times. 8. I read that you should freeze your jeans instead of washing them to prolong their life and kill bacteria. Should I do the same with my gi? Freezing clothes does not kill bacteria or clean them so we do not recommend doing it. Keep the freezer for ice packs, and wash your gis! 9. Should I iron my gi? If you have too much free time in your hands, and if you find great pleasure in ironing, yes. However, be careful with patches, some of them may stick to the iron. 10. What is the best detergent for gis? Whatever detergent is on sale that week or whatever you use for your other laundry needs is good for gis. If you are on a tight budget, you may want to make your own laundry detergent with only three ingredients: borax, bar soap, and washing soda. 11. I like my whites really white. Is it safe to bleach my white gi? Chlorine bleach is not recommended because it weakens the fabric, and also ruins the embroidery and patches. Instead, try oxygen bleach which brightens but does not break down cloth. You may also try old-fashioned bluing which gives whites the snow-white brightness. The photo below displays two white gis; however one has a slightly yellow hue, the other looks bluish. When you look at them side by side the color difference is quite obvious but looking at them separately both gis look perfectly white.